Ukraine (Ukrainian: ???????) is a large country in Eastern Europe. It lies at the northwest end of the Black Sea, with Russia to the east, Belarus to the north, Poland to the northwest, Slovakia and Hungary to the west, and Romania to the south west and south, with Moldova in between. 1 Kiev (??? ?, Kyiv) – The beautiful Ukrainian capital, home to leafy hills and world-famous Orthodox and Baroque architecture. 2 Chernihiv (???????? or ??????? ?, Chernigov) – ancient city of Kyivan Rus', one of the oldest cities in Ukraine, has lots of Medieval architecture. 3 Chernivtsi (???????? ?, ?ernivci) – the capital of Bukovina offers a Balkan atmosphere mixed with fine classical Habsburg architecture. 4 Dnipro (??????) – the highlight is the mile long promenade on the river Dnipro. 5 Donetsk (???????) – an industrial city in eastern Ukraine on the Kalmius River. 7 Kharkiv (???????) – kozak metropolis, it was the capital of Soviet Ukraine for fifteen years. 8 Lviv (?????) – the second most-visited city in the country. Some Polish, some Austrian mixed with Russian almost in everything. Famous medieval old town. 9 Odessa (??????) – a harbour city on the Black Sea with a mixture of different cultures. Most of Ukraine (the central and eastern portions) was formerly a part of the Russian Empire; after the October Revolution and the Civil War, the entire country, known as the Ukrainian Soviet Socialist Republic, was a part of the Soviet Union. Ukraine is the second-largest country in Europe, albeit with one of the most rapidly declining populations of any large country due to high emigration, low immigration, early deaths (particularly amongst males) and a shrinking birthrate that was already below replacement levels. Ukrainian history is long and proud, with the inception of Kyivan Rus (possibly founded by Swedish Vikings) as the most powerful state in Medieval Europe. While this state fell prey to Mongol conquest, the western part of Ukraine became part of the Polish-Lithuanian Commonwealth from the 14th until the 18th century, even modern Ukraine owes it a debt of sorts. A subsequent Ukrainian state was able, in the face of pressure from the ascendant Muscovy, to remain autonomous for more than a century, but the Russian Empire absorbed much of Ukraine in the 18th century to the detriment of their culture and identity. Despite a brief, but uncertain, flash of independence at the end of the czarist regime, Ukraine was incorporated into the new USSR after the Russian Civil War in 1922 and subject to two disastrous famines (1932-33 and 1946) as well as brutal fighting during World War II. As a Soviet republic, the Ukrainian language was often 'sidelined' when compared to Russian to varying degrees; Stalinist repressions during the 1930s, attempts at decentralisation during the Khrushchev administration and the re-tightening of control during the Brezhnev-Kosygin era of the 1970s and early 1980s. In any case, the traditionally bilingual province had signs in both Russian and Ukrainian in virtually all cities, including Lviv, where Ukrainian is most prevalent. The 1986 Chernobyl accident was a further catastrophe for the republic but also widely considered as an event which, in the long run, galvanized the population's regional sentiment and led to increasing pressure on the central Soviet government to promote autonomy. Ukraine declared its sovereignty within the Soviet Union in July 1990 as a prelude to unfolding events in the year to come. The Verkhovna Rada (Ukraine's Parliament) again declared its independence in early December 1991 following the results of a referendum in November 1991 which indicated overwhelming popular support (90% in favour of independence). This declaration became a concrete reality as the Soviet Union formally ceased to exist on 25 December 1991. Initially, severe economic difficulties, hyperinflation, and oligarchic rule prevailed in the early years following independence. The issues of cronyism, corruption and alleged voting irregularities came to a head during the heavily-disputed 2004 Presidential election, where allegations of vote-rigging sparked what became known as the "Orange Revolution". This revolution resulted in the subsequent election of opposition candidate Viktor Yushchenko as President. During the ongoing five years the "Orange coalition" broke up and Viktor Yushchenko lost the support of majority of Ukrainians. Ironically, his former adversary Viktor Yanukovich was elected President; ultimately the pro-Russian Yanukovich was ousted in early 2014 after months of popular protest against his failure to complete a key trade agreement with the European Union, but his departure comes at a time when the nation's treasury is empty and the government in disarray. For the most up-to-date information please visit Visa Requirements For Foreigners page of the MFA government website. Select your country to get more information. The visa on arrival is no longer available since 1 January 2019. Citizens of Armenia, Azerbaijan, Georgia, Moldova, and Uzbekistan can visit and stay in Ukraine indefinitely visa free. However, citizens of Moldova and Uzbekistan must hold proof of sufficient funds on arrival. Citizens of all European Union member states, Albania, Andorra, Belarus, Brazil, Canada, Chile, Iceland, Israel, Japan, Kazakhstan, Kyrgyzstan, Liechtenstein, Monaco, Mongolia, Montenegro, North Macedonia, Norway, Panama, Paraguay, Russia, San Marino, St. Kitts and Nevis, South Korea, Switzerland, Tajikistan, Turkey, the United States/American Samoa and Vatican City can visit visa free for up to 90 days within a 180 day period. However, citizens of Kyrgyzstan and Tajikistan must also have proof of sufficient funds when arriving in Ukraine. For citizens of Mongolia, the visa free only applies to service, tourist and private trips on conditions that documents certifying the purpose of the trip are provided. Citizens of Argentina can visit visa free for up to 90 days within a 365 day period. Citizens of Bosnia and Herzegovina, Brunei and Serbia can visit visa free for up to 30 days within a 60-day period. Citizens of Hong Kong can visit visa free for up to 14 days. Electronic visas are valid for 30 days and cost USD 85 (as of Jan 2019). Citizens of the following 52 countries are eligible for E-Visas: Australia, Bahamas, Bahrain, Barbados, Belize, Bolivia, Bhutan, Cambodia, China, Colombia, Costa Rica, Dominica, Dominican Republic, Ecuador, El Salvador, Fiji, Grenada, Guatemala, Haiti, Honduras, Indonesia, Jamaica, Kiribati, Kuwait, Laos, Malaysia, Maldives, Marshall Islands, Mauritius, Mexico, Micronesia, Myanmar, Nauru, Nepal, New Zealand, Nicaragua, Oman, Palau, Peru, Saint Lucia, Saint Vincent and the Grenadines, Samoa, Saudi Arabia, Seychelles, Singapore, Solomon Islands, Suriname, Thailand, Timor-Leste, Trinidad and Tobago, Tuvalu, Vanuatu. For other countries, visas are obtainable within a few hours of visiting a Ukrainian consulate/embassy. 'Letter of invitation' from friend, family member, perspective lodging or business provider may be required. For the most up-to-date details, visit MFA website, Visa requirements page and select your country from the list. Always know how much currency you have with you. Customs officials might inquire about the amount being brought into the country. It is prohibited to bring large amounts of Ukrainian currency (hryvnia) in to the country unless it was declared upon leaving Ukraine. Cash equvivalent of EUR 10,000 or more must be declared upo entry or leaving Ukraine. When entering the country you will no longer normally be required to complete an immigration form. However, if your passport has no space for stamps, or you don't want it to be stamped, you can still fill out an immigration form at home and have it stamped instead of the passport. After the annexation of Crimea by Russia in March 2014, Russian immigration and custom agencies started operating in the peninsula's ports of entries. It was announced by the Russian authorities on April 1, 2014, that foreign citizens would need regular Russian entry visas to visit Crimea. However, Crimea's authorities plan to petition Russia's federal government for introducing a simplified visa regime for certain categories of short-term visitors, different from that applied in mainland Russia. Since Ukraine does not recognize Russian's annexation of the peninsula, an entry to Crimea not from mainland Ukraine is considered by the Ukrainian authorities as an "illegal entry to the territory of Ukraine". If the fact of such a visit is discovered by the Ukrainian border authorities when a foreign national later tries to enter the mainland Ukraine, the foreign citizen will be subject to an "administrative punishment" (a fine, or possibly denial of entry to Ukraine). The cheapest cities to arrive in are Kyiv, Lviv and Kharkiv. The main international hubs for these flights are Budapest, Frankfurt, Milan, Munich, Prague, London, Rome, Vienna and Warsaw with several flights a day of Austrian AUA, CSA Czech Airlines, LOT, Lufthansa, Alitalia, Air France, British Airways, KLM and Ukraine International, which code-shares on these routes with the respective carriers. Special offers on flights come and go, depending on the whim of the carrier. Low-cost airlines Wizzair and Ryanair have both international and domestic flights into Ukrainian airports. Another low cost carrier serving Ukraine is AirBaltic, with flights routing through either Riga, Latvia, or Vilnius, Lithuania. If you have a lot of baggage, Wizzair offers 30 kg against the others' 20 kg allowances. There are several airlines which offer direct flights to cities like Dnipropetrovsk (Lufthansa), Odessa (LOT, Austrian, CSA Czech Airlines), but they are more expensive. To fly inside Ukraine, the most common airline is Ukraine International Airlines. It is the unofficial national airline, and its routes cover all of Ukraine's major destinations. Planes used are newer Boeing 737 aircraft. Railway traffic from Russia is heavily reduced nowadays. However, it is still possible to get to Kyiv from Moscow (14 hr) and St Petersburg (23 hr). Direct trains run to Kyiv also from Chisinau (15 hr), Minsk (12 hr), Vilnius, Riga, Vienna, Przsemysl, Warsaw (17 hr) and Vienna. Information can be found on Ukrainian railways timetable and DB Bahn, both in English. There are inexpensive direct bus services to Lviv and Ivano-Frankivsk from Poland. They usually offer a budget level of comfort and cost about 90-100 ???. There are ferries to Ukraine several times a week from Batumi and Poti in Georgia (48 hours), and from Istanbul Haydarpasa (27 hours). For schedules, prices and tickets see www.ukrferry.com. These ferries land in Ukraine at Chornomorske (formerly called Illichivs'k) 20 km SW of Odessa - see that page for onward transport options. They run all year and take vehicles. This network of ferries serves other Black Sea ports such as Samsun, Varna & Constanta, but usually without direct sailing to Odessa. The nearest significant town on the Polish side is Przemy?l, and it's easy to find by following route #4 (which passes through Przemy?l), also known as the E40 in European terms. If you're in an EU registered car then make for the EU-passports, passport control section. Thence to Ukrainian passport control and then Ukrainian customs and then you're through. It used to be a nightmare, with apocalyptic tales of 5-6+ hours at the border, but the Ukrainians have made great advances in efficiency and it takes about an hour to make the crossing (2012). Don't expect the border police to treat you in a friendly or even respectful manner, in fact, expect anything ranging from neutral to extremely obnoxious behaviour. Once through, just follow the main road towards Lviv on the E40 - this is the route right across Ukraine to Kiev (and thence on to the east). Stick to this - the main towns on the way are Lviv, Rivne, Zhytomyr. Watch out about 15-20km inside Ukraine, in Mostyska, as police have gone crazy about traffic calming measures here (speed bumps or "sleeping policemen"). They are like icebergs across the road, and very badly marked. There are about four or five sets of them through the village. Other than that, take care on the road, which although the main east/west highway, and the main road route into the EU, still remains in a miserable condition (surface-wise). You will soon realise why Ukraine has such poor statistics in relation to driver and pedestrian fatalities and injuries. Drive defensively! You can walk across the 200m long bridge from Sighetu Marma?iei, Romania. Once you get to Solotvino, Ukraine, you can continue your travel in a car or a train. Bicycling is also a possibility in summer. When you have crossed the wonderful old bridge go uphill, at the church turn right. After some 50 metres there is an ATM right-hand! That's important because train tickets can be bought only in hryvnya and there is neither an exchange point nor an ATM nor the possibility to pay by credit card on the train station! Go ahead and before the rail-road crossing turn left. There is one train a day to Lviv (in the late afternoon). It stops in every village and takes about 13 hours to get to the final destination, the ticket is about €10. You cannot cross the border at Kro?cienko (Poland) by foot or by bicycle. You must be in a vehicle. Coming from Poland by bicycle in August 2011 a cyclist only has to wait about 5 minutes to flag down a driver who was willing (and had space) to take him, a bicycle, and a full cycle touring kit. The actually crossing then took about an hour or so. There was no charge by the driver or the immigration officials. Update July 2017: crossing with a bicycle was not a problem at all, there is even a signposted cycling route (R63) between Poland and Ukraine. You might also be able to skip the car queue and go straight to the checkpoint. There are two road border crossings between Slovakia and Ukraine (Ubla and Uzhhorod). Ubla is for pedestrians and cyclists only and Uzhorod for cars only. You can, however, get into someone's car just to cross the border. There is one rail border crossing Chop. There is a daily bus from Košice (except Sunday and Monday) and Prešov(Slovakia) going to Uzhhorod. There are also few daily buses from Michalovce to Uzhorod. Uzhorod has a night train connection to Lviv and Odessa. As alternative, you can get by daily local train from ?ierna n.Tisou to Chop. Another good option could be to use the combined bus and railway connection from Prague (Czech Republic) to Uzhorod, which is provided by the Czech railway company Leo Express. The change point is at Košice main railway station (Slovakia), a very short walk from the central bus station, which should be on your left side when you leave the railway station. The bus mostly skips the long waiting times at the Ukrainian border. You can buy your tickets over the internet or via the company's app. There are also a lot of stops en route, which is handy if you're travelling from smaller Czech or Slovakian towns and rural areas. Uzhorod is a great starting point for night train lines to the rest of Ukraine. Be aware that all foreigners are subject to higher scrutiny by police when travelling on public transportation, especially intercity forms of it. Be prepared to show your passport and entry papers and keep your embassy/consulate number handy in case you come across a corrupt official. If you are caught outside your base city without your official documents, be prepared for a big fine. The quickest way to get around big cities is the so-called marshrutka: the minibuses which follow routes much like the regular buses do. You can generally flag them down or ask them to stop at places other than the specified bus stops. The fare is paid as soon as you get in, and is fixed no matter how far you want to go. This is the same for the conventional buses, tram, trolley-buses and the Metro. Tell the driver that you want to get off when you are approaching the destination. Each city has an intercity bus station from which you can go pretty much anywhere in Ukraine. Fares and quality of service vary widely. UIA offers cheap flights that can be booked on-line and can be a time-saving alternative. For example, the flight Odessa-Kiev (one way) is USD180 (including tax and fees) and takes 1.5 hours. However, be sure to book early for the cheapest fares. Trains are operated by state-owned Ukrainian Railways. Train classes, coaches and ticket system are very similar to Russia and other CIS countries, see Russian train article. Ukrainian trains are quite old and slow by West European standards, and not very frequent, but they are punctual, reliable and very cheap. For example Kiev to Odessa only has 3 direct services per day, 7 hr & 550 ??? by the fastest "Inter-city", 9-10 hr & 400 ??? by the slower "express". So for a 500-km journey with some half a dozen stops, the trains are averaging about 50 km/h on straight level terrain - the Bullet Train it's not. Generally, in Ukraine, for long distance the train is preferred over the bus because of their comfort and because often they are even cheaper. The "Lux" sleeping cars have a two-berth cabin. Second class are cabins with four berths. Third class have six berths through which the aisle passes. Advance online booking is highly recommended, firstly because some trains are popular and will sell out, secondly because it avoids having to negotiate your journey at a frenetic foreign railway station. For timetables, prices and bookings visit Ukraine Railways or Ukrainian Railways e-shop (these websites are in English, Russian and Ukrainian). Tickets with a little QR code icon should be printed off at home and are good to go. Other e-tickets are just a voucher which must be exchanged in advance for a ticket, at any mainline station in Ukraine. (So don't buy such a ticket for a journey that starts outside Ukraine.) Do this preferably an hour before departure, because close to departure of a long-distance express, the ticket area will become a frantic maul. Large train stations may have dedicated counters for e-vouchers; eg Kiev does, while in Odessa any window will do. Either way, before queuing look out for the "technical break" times posted on each window. If you have to buy on the day, write your destination and train number on a piece of paper; desk clerks have little English or German. Large stations have big screens that show tickets available for the upcoming trains. There are two major bus companies that run buses from all of the major cities to and from Kiev: they are Avtolux, and Gunsel. Prices run about 100-120 ??? for service to Dnipro and Kharkiv. The major advantage of the bus service is that it leaves from Boryspil and stops in Kiev, so if your destination is not Kiev, its easier than taking a bus to the Main Passenger Railway Station in Kiev. The buses are standard coach buses, serve cold drinks and tea, show movies, and make a stop about every 3-4 hr. They run every few hours. Avtolux has a VIP bus to and from Odessa that has nice leather seats and is more less non-stop. It departs once a day, takes four hours or so both to and from Kiev and costs about 160-170 ???. In addition, just as in Russia, there are private minibuses called Marshrutka. These run on fixed routes and may be licensed as either buses or taxis. You can board one at the start of the route or at fixed stops. Some of them will also stop at any point between designated stops, but this largely depends on the region and even on the driver's mood. Officially, they are not supposed to drop passengers outside designated bus stops, but in reality they do it quite often. At the start of the route and at fixed routes, you may find a queue you will have to stand in. At other places, just wave your hand when you see one. if there are seats available, the minibus will stop for you. To get off, tell the driver when you reach your destination and he will stop. You need to pay the amount of your fare to the driver. You don't get a ticket, unless you ask for it. Often it's not easy to figure out which Marshrutka will take you to your destination, as in any city there are literally hundreds of different routes. Taxi is probably the most safe way to get around the city. You want to ask your hotel or restaurant to call you a taxi. Ukraine is largely a referral based economy, and this is how you get quality, safety and good service. Taxis are always busy. Locals will tell you to call in advance. Trying to hail a cab won't be productive at best and get you in deep trouble at worst. It might seem unreasonable to hire a taxi to take you 100km to the next city. If you use your hotels referral, you will get a decent rate. It might be twice as expensive as train, but convenient, less time consuming, and secure. Keep in mind, you need a taxi to take you to the bus or train station. Americans will find the buses for long distance travel crowded and uncomfortable. Speed in cities is limited to 50 km/h. However people do drive fast anyway. Be aware that corruption is widespread among Ukrainian police, and tourists are an especially profitable target. When you are stopped for speeding or other offences, officers might aggressively try and extract ridiculous sums of money from you (€100 and up), offering "reductions" if you pay on the spot (the proposed alternative being some unpleasant and more expensive way, all made up). If you're asked anything beyond that, demand a written ticket for you to pay later instead. Don't let them intimidate you. It's very useful to have an embassy phone number handy for these cases. If you mention that, they'll let you off the hook quicker than you know it. At any rate, write down the officers' badge numbers, rank, plate number of the police car, and notify the nearest embassy/consulate in detail, to help fight these corrupt practices. The main roads are OK for all cars, as long as you don't go too fast. Numerous running repairs have created a patchwork road surface, and it will seriously test your suspension - even on the major dual carriageways. Road works have been ongoing, but the quality of the roads is shy of Western Europe (with the exception of Kiev). Bicycle traffic is not very common, but you will sometimes see an aged man transporting a sack of grass on an old road-bike or a cycling enthusiast in bright clothes riding a semi-professional racing bike. Those are even more likely to be met on well-maintained roads where the pavement is smooth. Also cyclists will use both lanes of the road in both directions equally i.e. you are just as likely to meet a cyclist coming towards you, riding on the verge, as you will travelling in your direction. And almost invariably without lights or bright clothing so be extra careful when driving at night and dawn/dusk. Ukrainian is the official language. Near the neighbouring countries, Russian, Romanian, Polish, and Hungarian are spoken. Russian is a close relative of Ukrainian and is most often the language of choice in the south and east of Ukraine. It is safe to assume that virtually any Ukrainian will understand Russian; however, in the western parts people may be reluctant to help you if you speak Russian, though to foreigners, Ukrainians will be more forgiving than to Russians. Especially in Lviv, you will have the hardest time because they not only mostly speak Ukrainian but they have a special dialect of their own. On the other hand, in the eastern parts, Russian is the most commonly spoken language. In the central and eastern parts of the country, you may also find people speaking transitional dialects (generically referred to as the surzhyk, i.e. the "mix [of languages]"). It is also common for people to talk to others in their native language, irrespective of the interlocutor’s one, so a visitor speaking Russian may be responded to in Ukrainian and vice versa. Kiev, the capital, speaks both languages, but Russian is more commonly used. So Ukrainian is more frequently met in Central and Western Ukraine, Russian in Eastern and Southern Ukraine. Young people are more likely to speak a little English, as it is the most widely taught foreign language in school. Most people in the tourism industry (hostels etc.) do speak English. Also, thanks to Ukraine hosting the Euro 2012, there was a lot of improvement in tourist facilities and police learning English to better assist the people there for the games. In general, Ukrainian is gaining more ground as time goes on. Certain regions may have special rules and can have schooling in Russian like in Luhansk. Russian is in general still the lingua franca but the newer generation of people are encouraging their children to speak Ukrainian in the home. The biggest wall to Ukrainization is that there is a resistance in the East and South from people who would even like Russian to be an official language of the state. Moreover, a lot of media such as books, videos, and video games are only in Russian but there have been a few titles with the option of Ukrainian subtitles on DVDs and some authors write exclusively in Ukrainian, so it is making ground. Universities used to have a choice between Ukrainian or Russian but now most of the national universities except those in special areas or private schools are exclusively taught in Ukrainian. There are plenty of people, however, that believe Ukraine will always have both languages and don't feel one threatens the other's existence. Though everyone there is Ukrainian by citizenship, there are more than a million who are of Russian origin; for example Kharkiv itself sports 1 million ethnic Russians. It's hard to say they are really ethnically different, but they did migrate during the Soviet Union and are proud of their roots as Russians and continue speaking Russian with their kids even though their kids are getting an education in Ukrainian. The whole language thing in Ukrainian is a touchy subject, so hopefully the information provided seems neutral. If you are travelling to Ukraine, learn either basic Ukrainian or basic Russian beforehand (know your phrasebook well) and/or have some means of access to a bilingual speaker—a mobile/cell number (almost everyone has a mobile phone) can be a godsend. Virtually nobody in any official position (train stations, police, bus drivers, information desks, etc.) will be able to speak any language other than Ukrainian and Russian. If you already know another Slavic language, you will, however, be able to communicate as the Slavic languages are closely related. It is a good idea to familiarize yourself with the Cyrillic alphabet to save you a lot of time and difficulty. Knowing the alphabet helps a lot, because certain words are close to English, like telefon (telephone), so if you can read the Cyrillic alphabet you'll understand them. Vast in size and diverse in culture and landscapes, Ukraine has a range of great attractions to offer. Largely unknown to the world, the country's main draws include some great and quintessentially Slavic cities, impressive cultural heritage and of course top class natural areas. Head to the historic city of Lviv, listed as a Unesco World Heritage Site but still a bustling place and a true centre for learning and culture in the country. Its cobblestoned streets are packed with monuments going back to Medieval times, seemingly untouched by the destructive force of wars that have changed some of Ukraine's other cities so thoroughly. Even the extensive Soviet planning that has shaped many other places on the far east side of Europe have left only a minimal mark on the colourful mix of building styles. Highlights include the Korniakt Palace (right on the market square) and several beautiful churches. For an even more sophisticated taste of culture, try the fine collection of the Lviv National Art Gallery. Then there's the must-see's of Kiev, a colourful place where the golden roofs of the Unesco World Heritage sites Saint-Sophia Cathedral and Pechersk Lavra make for some excellent highlights. Take an afternoon stroll through Andriyivsky Uzviz, the Montmartre of Kiev, where you'll find a bustling mix of artist and souvenir sellers. Follow in the footsteps of Apostle Andrew, who - according to legend - climbed the steep stairs of this bohemian neighbourhood two thousand years ago, to the top where you'll now find a church with his name. Don't miss the excellent Pyrohovo Museum of Folk Architecture. Last but not least, Kiev is one of the best spots to visit Ukraine's lively markets (but Odesa or Kharkiv have good ones too). Also, consider a trip to the Residence of Bukovinian and the Dalmatian Metropolitans in Chernivtsi. In terms of natural attractions, the lovely Carpathian Mountains are among the best destinations this otherwise remarkably flat country has to offer. They hold beautiful panoramas of forested hills, lush valleys and snowy peaks and offer ample opportunities for hiking and biking as well as for winter sports. The rather little explored Danube Delta Biosphere Reserve is another great pick for nature lovers and bird watchers. Base yourself in the charming town of Vylkovo, with its many canals, and go boating and bird-watching during the day. It is widely acceptable to pay cash. Locals (especially businesspeople) sometimes carry and pay in cash amounts considered unusually large in other countries. Don't suspect criminal activity in every such case. The euro and US dollar are generally accepted as alternative forms of currency, particularly in tourist areas. You can use your credit cards (mostly MasterCard & Visa) or cash traveler's cheques easily. Credit and debit cards are accepted by the supermarkets. But avoid using your credit/debit cards for payments at establishments in smaller towns as retailers are not trained and controlled enough to ensure your card privacy. Ukraine is a predominantly cash economy. The network of bank offices and ATMs (??????? ?, bankomat) has grown quickly and are now readily available in all but the smallest villages. Do check the security of the machine - it would be wise to use one that is obviously at a bank, rather than in another establishment. So, ATMs are common throughout the country and generally work with international cards. They nearly always dispense hryvnia, though you may find some give US dollars. They mostly do not charge fees to foreign cards. (unless you are withdrawing dollars). Debit cards such as maestro do work in ATMs. Cirrus/Maestro/Plus bank cards could be most effective way to get cash in Ukraine. Not all ATMs indicate that they support the Plus system, but in most cases they do support it if they support Visa. PrivatBank ATMs indicate that they support Plus, but they do not work with North American cards. Every reasonably sized town will have exchanges booths and banks that will convert euro, US dollars or Russian rubles to hryvnia, just look for signs with exchange rates. US dollars and euro are the most widely accepted convertible currency at the exchange booths, with Russian rubles now in third place. Exchange booths, while looking rather unsavoury, are generally the best places to change money. Their rates tend to be better than the banks' (but not always) and you will not need your passport. Service is quick and there's often no paperwork or receipts. British pounds are also often exchangeable, though at poor rates. In tourist areas, a much wider range of currencies can be changed. Shop around as offered rates often vary. Changing money in banks is time consuming—there is a lot of paperwork involved. Bank staff may be unwilling to go through all the procedures just to change your US$100 bill and may try to fob you off with an excuse: "sorry, we don't have the money" is common. If you absolutely must change money there, you might be able to persuade them to change their minds; but if you can go somewhere else, you'll probably save time. At a bank, you will also need to show your passport. Banks may also only let you buy hryvnia; they may prevent you from buying "hard" currency. At many places bank clerks would refuse money with even minor damages or grease spots. A tear in the paper longer than five millimetres can be too much. Even at larger branches, you cannot expect English-speaking staff. Doing anything other than currency exchange may require a translator or at least a lot of patience. Booths and banks will generally not try to scam you, but count your notes to be sure. By law, all transactions are required to be in hyrvnia, although less formal transactions may be in euros or US dollars. If you want to buy any kind of artwork (paintings, Easter eggs) in Kiev, the place to visit is Andriivskij Uzviz (???????????? ????? in Ukrainian, ??????????? ????? in Russian). It is illegal to take out of the country any items of historical importance. These includes badges, medals, icons, historical paintings, etc. While you are unlikely to face a bag search, don't wear any old badges or display anything that may arouse suspicion. Ukrainian cuisine is quite tasty, with similarities to Russian cuisine. Just like other cuisines in the region it uses a lot of fat ingredients, especially in festive dishes. Traditional local food includes "salo" (salted lard) and soups like "solianka" (??????? in Ukrainian, meat soup) or "borshch" (???? in Ukrainian) a soup made of red beets. Western Ukraine also has a green version of borshch, with greens and boiled eggs. The first, salo, is perhaps something you might not make yourself try - however is a delicious side dish, as for the soups being a must-have dish. You may also find nice places to eat not by signs, but just by the smoke of traditional wood fires. These are often places where they serve traditional Ukrainian food, including very tasty shashlyky (??????? in Ukrainian). Restaurateurs are very friendly, and, more often than not, you will be one of their first foreign visitors. Next to the "borshch", you might also ask for "varenyky" (???????? in Ukrainian, dumplings filled with meat, vegetables or fruits) or "deruny" (????? ?, potato pancakes). You have to try varenyky with potatoes and cottage cheese in a sautéed onion and sour cream sauce, a fantastic dish. These are just starters, but ones that might fill you up quickly. You can also use some internet services, which will help you to find any restaurant you want. They usually have a lot of options and English translation making your search easier. These services are free and provide information about major cities. If there is no possibility of internet connection you can ask people about restaurants, but remember that knowledge of English among Ukrainians is low and you can also meet unfriendly people. But in most cases English or other foreign language makes people more amiable. The Ukrainian speciality is horilka (the local name for vodka) with pepper. Other kinds of vodka are also quite popular - linden (tilia), honey, birch, wheat. Prices range €1-20 for 1 L. Souvenir bottles are available for higher prices (some bottles reach upwards of €35 for 0.5 L. There is a great choice of wine, both domestic and imported. The domestic wines mostly originate in the south, although wines from the Carpathian region of Uzhorod are also quite tasty. Ukraine is also famous for it's red sparkling wines. Prices for local wine range €2-35 per bottle of 0.75 L (avoid the cheapest wines, €1 or less, as these are sometimes bottled as house wines but sold as local vintages), however, one can find genuine Italian, French, Australian wines from €50 per bottle and more in big supermarkets and most restaurants. The price of imported wines dropped significantly over the last number of years and trends indicate further reductions in price. There are a lot of other beverages too(both alcoholic and non-alcoholic). Ukrainian beer is of very good quality. Beer from barrels or kegs (more common in cafes) is often watered down. Canned beer is not very common in Ukraine and sometimes not of the same quality as the same variety sold in bottles. The best beers are brewed by Lvivske, Obolon and PPB (Persha Privatna Brovarnia). Imported beers are also widely available but more expensive – for instance, a bottle of Austrian Edelweiss can cost upwards of €2 while average price of Ukrainian beer is €0.50. All told, Ukrainian beers are very tasty and gaining popularity elsewhere in Europe. Of non-alcoholic beverages, one should try kvas – a typically Slavic drink made of rye or wheat. During the summer one can easily buy it from designated street vendors. There are a lot of yellow barrels with kvas around the city in summer. It’s better to buy it in bottles due of unknown cleanness of the barrel. Milk drinks, of all sorts, are also available, although mostly in supermarkets. Bottles of mineral water are available everywhere, as well as lemonades, beer, and strong drinks. When seeking to buy bottled water make sure to ask for "voda bez hazu" (water without gas) otherwise you are likely to be handed the carbonated drink. Never buy vodka or konjak (the local name for brandy) except from supermarkets or liquor stores as there are many fakes. Every year a few die or go blind as a result of poisoning from methyl alcohol, a compound used to make fake vodkas. In Ukraine it's possible to buy alcohol produced in other former Soviet republics. The Moldavian and Armenian cognacs are quite good and not expensive. Georgian wines are quite unusual and fragrant, if overly sweet. Hotels might be a traumatic experience for a westerner anywhere outside the biggest cities. The cheaper the hotel, the larger the chance of some quite unfortunate surprises, especially for those not familiar with the Soviet-style level of service which still remains in many places. Hostel becoming more and more common in larger cities, especially the ones attracting many tourist. However, do not expect the usual clientèle as you would in countries where backpacking is more common. Hostels in the Ukraine are often filled with single mums and kids, working people without apartment in the city, and other ominous but general unthreatening people, which make staying in a dorm an awkward experience. There are many mid-range (€25-45) options outside Kiev. 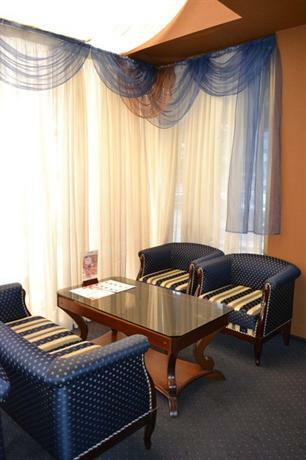 For instance in Ivano-Frankivsk (near the Carpathians), the going rate is approximately €35 for a suite (bedroom and sitting room) in one such hotel. Many hotels have the choice between renovated rooms/suites ("western style") and not renovated rooms (East European style). 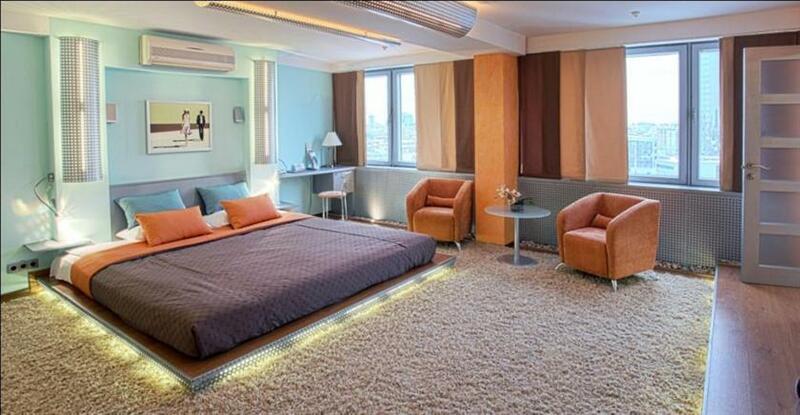 The last choice is more than 50% cheaper and gives you a spacious old fashioned 2 room suite, basic but clean! 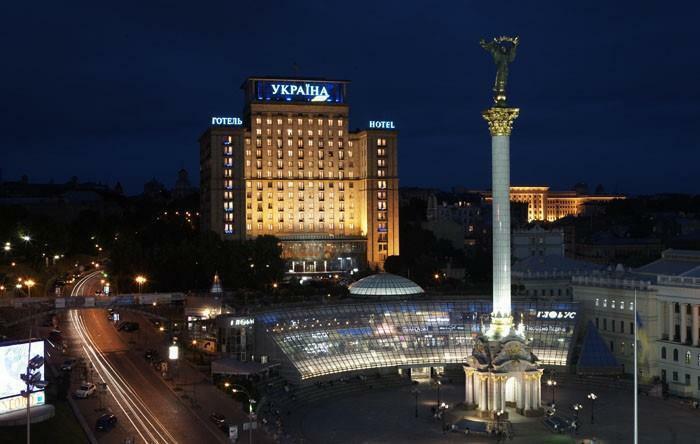 There are a number of 5-star hotels in Kiev and one in Donetsk; see guides for those cities for listings. 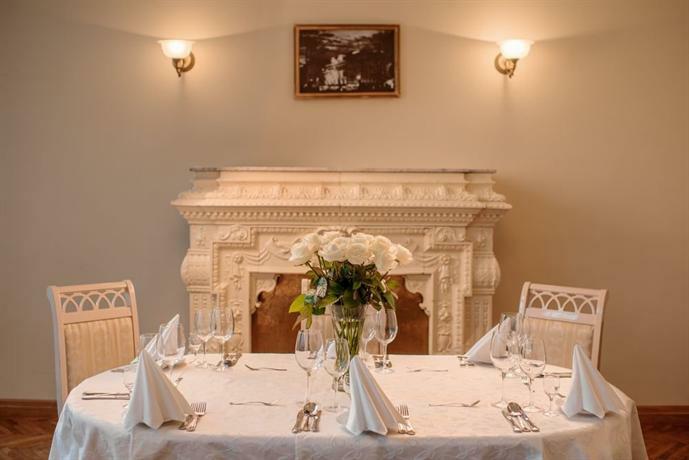 At one such hotel in Lviv, the going rate ranges from €40-60 a night. Another option is to rent an apartment on the internet before you leave your country. There are many to choose from in Kiev and Odessa. What many people from ex-Soviet countries do is to go to the railway station, where they try to find people who are willing to rent a room. Prices are usually much cheaper and if there are enough people, offering the room you can make great deals. These deals are usually not legal and they will take you to a corner before negotiating. Make sure they have warm water, and don't be afraid to say it's not what you expected when seeing the room. There are a lot of foreign students at Ukrainian universities. Bribery is common, and you can even obtain a diploma here by having attended only twice (the first and last days of the term), if you have the money. That's hyperbole, of course, but in real life it is not much different. Of course if one wants to obtain good knowledge they will, but motivation in such a situation is low. After graduation many students find work which is not concerned with their education, but this doesn’t mean that the educational system is bad. This happens because of economical instability. The educational system itself is comprehensive and competitive, and a lot of foreign students can be a confirmation of this fact (not only in the previously mentioned hyperbole). Getting a work permit (visa) is a necessity for foreigners if they are going to be employed by any legal entity (exceptions apply only for international institutions and representative offices of foreign companies). The work permit is more of a hiring permit. The potential employer has to apply with the labour administration for hiring an non-resident employee. With the application a complete cv, as well as documents showing an accredited education, have to be submitted. If you can it is useful to have a bilingual acquaintance who can be called in an emergency or if you encounter difficulties. If staying for any length of time, it is advisable to get a local SIM card for your mobile for emergencies and for cheaper local calls/texts. These are widely available, cheap (often free) and easy to 'top-up'. Ukraine is certainly not one of the most friendliest former Soviet countries—quite the opposite of Kyrgyzstan for instance. The mood of locals swings like the weather, especially if you not firm with Russian or Ukrainian. That can make travelling around and gathering information quite depressing. So, it best to prepare for this situation and just ignore the bad mood. Language-wise, it is better to try and use a translator instead of using English straight away, especially with people above age 30. Many people will tell you that you can take a copy of your visa with you. Sadly, some people experience trouble over this. It's always better to carry your passport with you. A photocopy can be refused as proof of identity. A phone call to a local who can help can prove very effective. As already mentioned at the top, the political situation in Eastern Ukraine remains unstable with fighting between the Ukrainian Armed Forces and Russian-backed separatists, particularly in eastern, Russian-speaking areas. Many countries have issued warnings to their citizens against all travel to the eastern border regions, particularly the Donetsk and Lugansk Oblasts. Most also warn against all non-essential travel to (parts of) Kharkiv and Zaporizhia. While tourists are unlikely to be the intended targets of violence, it is advised to be extra vigilant and avoid all demonstrations or public gatherings throughout Ukraine. The situation also causes complications to visitors since services are disrupted. It’s illegal under Ukrainian law to enter internationally recognised Ukrainian territory through a border point that isn’t controlled by the Ukrainian authorities. If you do so, you risk arrest or a fine, and you may be subject to a travel ban. International border crossings that aren’t under the control of the Ukrainian authorities include all land border crossings into Donetsk oblast, many of the land border crossings into Luhansk oblast, all air and sea ports in Crimea and the Kerch Bridge road and rail crossing into Crimea. As in any other country, using common sense when travelling in Ukraine will minimize any chances of being victim of petty crime and theft. Try not to publicize the fact that you're a foreigner or flaunt your wealth, through your choice of clothing or otherwise. With the exception of Kiev, Odessa, and other large cities, Western tourists are still quite rare. As in any other country, the possibility of petty theft exists. In Kiev, make sure to guard your bags and person because pickpocketing is very common, especially in crowded metro stations. Guides have told tourists to watch certain people because they heard people say: "They look like Americans: let's follow them for a while and see what we can get." 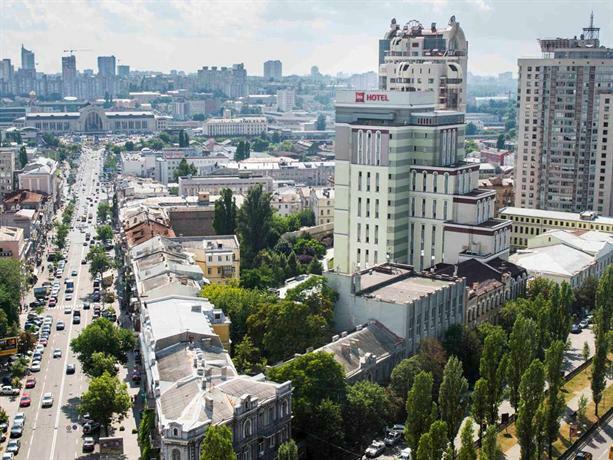 The area around the American embassy in Kiev is known for the provocateur groups targeting black people, and there have been reports of such attacks on Andriyivski, the main tourist street that runs from Mykhailivska down into Podil. Particularly in rural areas, having dark skin is often a source of prejudice. Antisemitism is still a lingering problem in some Western regions and/or other parts of Ukraine. However there are two Jewish mayors elected in Kherson and Vinnitsa. Russophobia is on the rise as a result of the Russian annexation of Crimea in early 2014, especially in the European Union-friendly western regions of the country. Russian citizens may encounter negative perceptions due to continuing war being waged (as of 2014) against Ukraine by Russian-backed separatist rebels in the eastern portion of the country. There have been ethnic clashes between Russians and Ukrainians in Odessa. On 17 July 2014, a civilian airliner was shot down over the conflict zone in the east of Ukraine; this has led to an escalation of economic sanctions and polarised an already-tense situation on the ground. Anecdotal experience suggests that in Ukraine, indeed much of the former Soviet Union, people from Middle and Central Asia and Romani/Sinti people receive much closer and more frequent attention from the militsiya (police). Always have your passport (or a photocopy of the main pages if you're concerned about losing it or if you're staying in a hotel that is holding it) as foreigners are treated more favourably than others. This is not to say that it is unsafe or threatening, but it is better to be forewarned of the realities. Ukraine has some of the worst statistics for road related deaths and injuries in the world so act accordingly. Take care when crossing the roads; walk and drive defensively: be aware that traffic overtakes on both the inside and outside. Sometimes you even need to take care when using the footpaths, as in rush-hours the black, slab-sided Audi/BMW/Mercedes sometimes opt to avoid the traffic by using the wide pavements; pedestrians or not. Owners/drivers of expensive cars have been known, at times, to be more careless of the safety of pedestrians. Drivers rarely grant priority to pedestrians crossing a road unless there are pedestrian lights. Always watch out for your safety. Pavements suffer in the same way as the roads in terms of collapsing infrastructure. Take care when walking, especially in the dark and away from the downtown areas of the main cities (a torch is a useful possession) as the streets are poorly lit, as are most of the entries/stairwells to buildings, and the street and pavement surfaces are often dangerously pot-holed. Don't step on man-hole covers, as these can 'tip' dropping your leg into the hole with all the potential injuries! It is illegal to drink alcohol in public places in Ukraine. Despite the prohibition you can see some local citizens doing that, but don’t be misled. These are bad examples. Local policemen can insist on a bribe if they see a foreigner breaking the prohibition. So be wise and avoid unnecessary problems. As a rule, avoid drinking tap water. The major reason for this is that water in many regions is disinfected using chlorine, so taste is horrible. Whenever possible buy bottled water, which is widely available and generally OK.
Ukraine has the highest adult HIV prevalence rate in Europe at nearly 1.5% or 1 in 66 adults. Be Safe. There is radiation contamination in the northeast from the accident at Chernobyl nuclear power plant in 1986. However the effect is negligible unless you permanently live in Chernobyl area itself. There are even tours to the town of Pripyat' which is the closest to the station. The town is famous for the haunting scenery of blocks of apartment buildings abandoned in 1986, now standing out amid the vegetation which spawned from years of neglect. Respect the fact that Ukraine is an independent nation. You may find that people here are sensitive about being classified as "Russians". The Ukrainians have their own ethnicity and do not like being seen as Russians. Don't say "the Ukraine," because that usage is outdated and implies that Ukraine is a peripheral region of Russia and not a country. Ukraine is by no means a conservative country with respect to clothing or behavior. Stances on homosexuality verge from conservative to outright hostility. Raising the issue of Ukraine in the context as being part of the Soviet Union may not be welcomed by the locals. The Holodomor, like the Holocaust, is a sensitive issue. It is best to not praise the Soviet Union or Joseph Stalin, Soviet leader during the time of WWII and architect of the Holodomor. Nevertheless, some Ukrainians also remember the recent period of the Soviet Union as a time of economic prosperity. Ukrtelekom is the main telecom operator. The country code for Ukraine is 380. The biggest mobile phone operators Kyivstar, Vodafone (formerly MTS), Lifecell. Mobile GPRS access is available in vast majority of Ukraine's territory. 3G mobile access is steadily developing and is available now in all major cities. Public Wi-Fi hotspots are widespread throughout cities. There are plans and projects for providing mass wireless broadband access in urban open spaces, on Ukrzaliznytsia long-distance trains and in urban public transport vehicles. When entering the country by air through Kiev airport, it may be recommendable to pick up a SIM card directly at the airport at the kiosks next to the currency exchange office. A Vodafone SIM with unlimited data for duration of one month costs 250 ??? as of 2019. It's only possible to pay cash, so get cash from the ATMs right across first before attempting to purchase a SIM. On February 27, 2014, an armed group took control of the Crimean Parliament, and on February 28, armed groups seized control of two airports in the region. There is a serious threat of further escalation, and the potential for violence and military action is ongoing in the region. The security situation is currently unpredictable and may deteriorate further with little or no warning. If you are presently in Crimea, consider leaving while it is safe to do so. If you are unable to exit the country safely, remain indoors and avoid large crowds and demonstrations. The airports in Crimea are not currently operational. Demonstrations in Kyiv, Donetsk, Kharkiv and Luhansk have intensified since February 18, 2014. These demonstrations have disrupted transportation and blocked major intersections, including those in close proximity to the Embassy of Canada in Kyiv. There have been multiple incidents of violence associated with these protests, which have resulted in injuries and fatalities, including in areas adjacent to popular tourist sites and commercial centres. Street crime (pickpocketing and scamming) is common, particularly in crowded places, in tourist areas, in bars and nightclubs and on public transportation. Pickpocketing has increased on the Kyiv metro. Armed robbery can also occur, especially in the larger cities. Racially motivated violence and harassment occur without corrective action by local authorities. Ensure that your personal belongings, passports and other travel documents are secure at all times. Avoid showing signs of affluence and carrying large sums of cash. Daily demonstrations have been occurring throughout Ukraine since the end of November 2013, following the Ukrainian government’s decision to suspend preparations for the signing of an agreement with the European Union. While the situation in Kyiv and other cities has calmed significantly as of February 23, 2014, the possibility of demonstrations remains during the transition period. Demonstrations and marches are most likely to take place in the center of Kyiv, including, but not limited to Independence Square, European Square, Hrushevskogo Street, Kreshchatyk Street, Instytutska Street and in front government buildings in the downtown area. Clashes have also taken place in Donetsk and Kharkiv. There continues to be a significant crowd presence in these locations, including groups carrying weapons, and barricades and checkpoints in these areas remain in place. Avoid all demonstrations and large gatherings, follow the advice of local authorities and monitor local media. Debit and credit card fraud occurs. Pay careful attention when your cards are being handled by others during payment processing. The use of on-street automated banking machines (ABMs) is not recommended. One common scam involves a person dropping a wallet or a bundle of money in front of a tourist, hoping the tourist will pick it up. The scam artist then accuses the tourist of stealing some of the money. These scams can involve several crooks, some posing as police officers. Should this happen to you, do not pick up the dropped items; simply walk away without engaging in conversation. Be aware of potential Internet fraud by persons claiming to live in Ukraine who offer goods for sale or profess companionship, romantic interest or marriage proposals. Neither the Embassy of Canada nor Foreign Affairs, Trade and Development Canada is in a position to help recover lost funds or property in such cases. Never leave food or drinks unattended or in the care of strangers. Be wary of accepting snacks, beverages, gum or cigarettes from new acquaintances, as they may contain drugs that could put you at risk of sexual assault and robbery. Travel by road can be hazardous. Most roads outside major cities are poorly maintained. Drivers are often aggressive and have little regard for traffic regulations. Pedestrians should be particularly careful. Avoid driving after dark outside major cities, as limited road visibility, poor vehicle maintenance and intoxicated drivers pose threats. Motorists should not stop or camp overnight in isolated areas. While roadside services such as gas stations and repair facilities are increasingly common, they remain inadequate. Buses are usually overcrowded and in poor condition. Vehicles can be rented at rental agencies in major cities and at some major hotels in Kyiv. Only use officially marked taxis and do not share them with strangers. Exercise caution on trains, particularly at night, due to the risk of robbery and muggings. Store personal belongings and travel documents in a safe place and do not leave the compartment unattended. Ensure that the door is secured from the inside. Avoid travelling alone. The main ports for sea travel are Izmail, on the Danube Delta, and Odessa. Ferry service is available to the Russian Federation as well as to a number of cities on the Black Sea and the Mediterranean. A ferry service connects Sevastopol and Istanbul, Turkey. Exercise a high degree of caution in all places. Ensure that your personal belongings, passports and other travel documents are secure at all times. Avoid showing signs of affluence and carrying large sums of cash. Tourist facilities outside the major centres of Kyiv, Lviv and Odessa are not highly developed. Mobile phone coverage outside major cities is unpredictable. Dial 101 to reach firefighters, 102 for police and 103 for an ambulance. Medical facilities are limited. Shortages of basic medical supplies are common. The medical insurance policy provided by the state-owned company Ukrainmedstrakh covers all expenses for medical care and provides medical supplies in case of emergency. A serious violation may lead to a jail sentence. The sentence will be served in local prisons. Local police may ask to see your passport and visa at any time. Always cooperate with local authorities. Be aware that you may be detained for up to three hours while your identification documents are being verified. Racially motivated mistreatment or harassment by Ukrainian authorities occurs. An International Driving Permit or a Ukrainian driver's licence is required, and car insurance is mandatory. There is zero tolerance for driving under the influence of alcohol. Police are permitted to fine you on the spot. The currency is the hryvnia (UAH). The economy operates primarily on a cash basis. However, credit cards are accepted in most major cities. Foreign currency can be exchanged at banks, hotels and licensed exchange booths. Carry crisp bills, as well-worn or used U.S. banknotes may not be accepted. Automated banking machines (ABMs) are available, but new bank cards with a microchip cannot be used. There are strict customs regulations and procedures regarding the export of antiquities and items of historical interest. Forest fires can occur in eastern and southern Ukraine during the hottest summer months of July and August. In the event of a major fire, stay away from affected areas, follow the advice of local emergency services personnel, and monitor local media for up-to-date information. The air quality in areas near active fires may deteriorate due to heavy smoke and affect travellers with respiratory ailments. For assistance, contact the Embassy of Canada in Kyiv.